2019 PMI ACP Exam Preparation - Get PMI ACP Certification in 2018! Home / Project Management / PMI ACP / PMI ACP Exam Preparation – Get PMI ACP Certification This Year! Are you interested in PMI ACP certification? 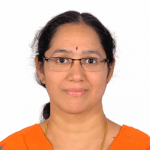 What made you go for agile certification and that too PMI ACP? Are you keen on knowing about PMI ACP Exam Preparation? You want to know a sure shot way of achieving the PMI ACP credential? Then, read on to know the do’s and don’ts’ of PMI ACP Exam Preparation. What do you need to start your PMI ACP Exam Preparation? Where do we start our PMI ACP Exam Preparation? Have you checked the PMI ACP requirements? Before you embark on the PMI ACP Exam Preparation, you need to know if you have the passport for the travel. The PMI ACP requirements you need to fulfill to apply for the highly sought after credential PMI ACP. I am sure you know the PMI Institute is the world’s number 1 institute for project management with a comprehensive set of standards and practice guides for the entire gamut of project management. Why do you think it has become the most recognized and respected organization for project management? One is the treasure that they have created in terms of best practices in project management with PMBOK PDF, other standards and practice guides for program and portfolio management. Another is the rigorous and stringent eligibility criteria and a well-defined process of certification for all its credentials including PMI ACP. Since PMI ACP Exam tests your knowledge of agile practices and experience in applying them, you would need to demonstrate that you are equipped with both. What are the eligibility criteria? You need to have certain education along with experience in managing projects in both agile environment and others. 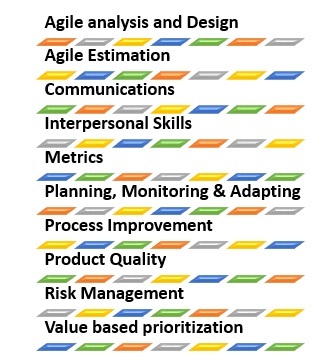 Since PMI ACP covers many flavors of agile, you also should undergo a PMI Agile Training about the principles and practices that cover all the agile methodologies such as Scrum, Kanban, Lean, Extreme Programming, TDD, and DSDM, etc. Let us explore what are the PMI ACP Requirements you need to comply with to apply for PMI ACP certification exam. If you have either a high school diploma/secondary degree/associate’s degree, then you have fulfilled the eligibility in terms of education. Since PMI ACP certification is about projects that are done using agile practices, PMI specifies that you need to possess both general and agile project experience. But, if you are already having a Project Management Professional (PMP) or a Program Management Professional (PgMP) credential from PMI, you do not specifically quote your general project experience. IF you are aware, PMP and PgMP need you to have more than 2000 hours of project management experience. Hence, you get the exemption. PMI is very methodical in its approach to certification requirements as already mentioned. Moreover, PMI conducts a role delineation study and keeps revising the requirements and exam content outline to ensure it matches the industry needs continuously. 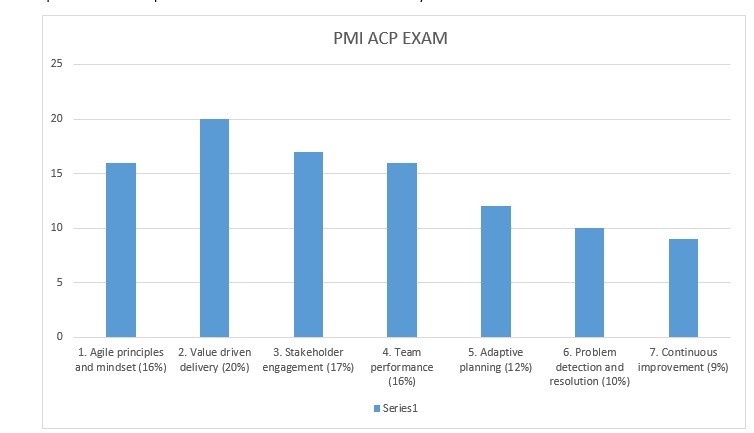 This study ensures that the results of the exam measure all the aspects of agile as practiced in the industry and hence in the PMI ACP vs CSM, PMI ACP has an edge and more weight. Therefore, PMI stipulates that you should have completed 21-hour training on agile practices by the time you sit for the exam even if you do not complete it by the time you apply. But, it is effective to go with the 21-hour training upfront as it will help your PMI ACP Exam Preparation too. You want to know how to become ACP and what kind of PMI ACP Exam Preparation you need to do to achieve the certification. PMI ACP Exam Preparation: How to Do It? Do you already have a PMP certification or attended a scrum certification? If so, there is always a chance that you may compare the PMI ACP certification exam with that. While it is good to learn from other exams, your PMI ACP Exam Prep is unique in its own way. For PMI ACP Exam Preparation, you need to know the breadth of agile practices. While PMI has not given any specific standard or guide for this, it has given about 11 references that you can go through. Therefore, you can expect questions from a wide variety of agile practices and hence the PMI ACP Exam Preparation should include depth of each practice and also the range of agile methodologies. Hence, a PMI ACP Study guide becomes an essential tool to aid your PMI ACP Exam Preparation. If you have read that PMI ACP is less tough than PMP certification and tend to take this in a lighter way, you are going to land in trouble. Though you may not need to memorize stuff, you still have to put in 100-150 hours of PMI ACP Exam Preparation. Unless you know what you are in store for, it will be difficult to start your PMI ACP EXAM Preparation. Therefore, here is an overview of what the exam will test you on? 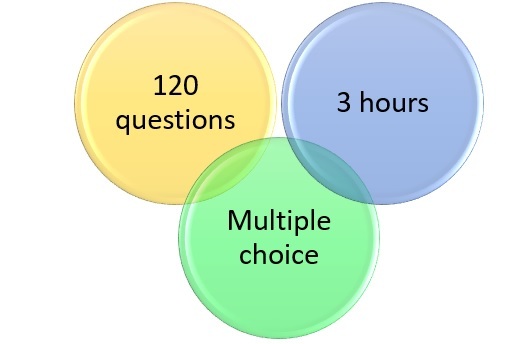 You can also know about the exam duration and number of questions, etc. Is it descriptive? What Type of questions? Multiple choice with 4 answer options and only one correct among them. Is there negative marking? NO! your marks won’t be deducted if incorrect, you just get zero. There are in total 7 domains and each domain has certain number of tasks and sub domains. These tasks describe what you as an agile practitioner should be knowledgeable. In addition to these domains, you should also include the various tools and techniques in your PMI ACP Exam Preparation. Here is the toolkit that is part of the exam. Each toolkit has a set of tools and techniques of which a few examples are given so that you know what to expect for the exam. Agile Estimation Story points, elative sizing, Delphi, poker estimation, etc. Communications Information radiator, osmotic communication, active listening, etc. Interpersonal Skills Emotional intelligence, negotiation, servant leadership, etc. Planning, Monitoring & Adapting Kanban board, time boxing, daily stand ups, WIP limits, burn down charts, etc. Process Improvement Kaizen, 5 Whys, retrospective, value stream mapping, etc. Risk Management Risk adjusted backlog, risk burn down grah risk based spike, etc. Value based prioritization Minimal viable product, MoSCoW, Kano Model analysis, compliance, etc. You have seen the tasks, tools and techniques that you should know. In addition to these, you are expected to also have knowledge of or skills in the agile values & principles, framework, terminology, problem solving, leadership, etc. Therefore, make sure you have included all these in your PMI ACP Exam preparation. Though you are now aware of the topics that would be assessed in the exam, you are advised by PMI to go through the exam content outline to ensure your PMI ACP Exam Preparation is aligned to the exam requirements. 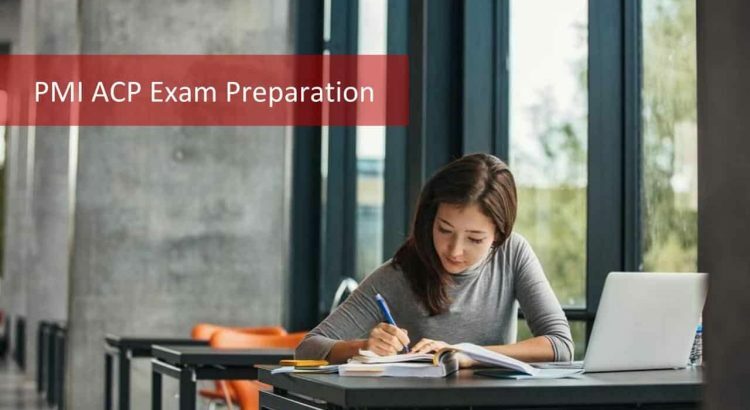 How to start your PMI ACP Exam Preparation now that you are equipped with the information about what you will be tested on, what type of questions to expect and how much time? You definitely need help of an experienced training provider as you have understood the uniqueness of the PMI ACP Exam. Therefore, what criteria you have to take into account to decide a PMI ACP training provider? Which training provider to choose for PMI ACP Exam Preparation? Experience: Who is the instructor and what experience does the instructor have on agile methodology. What support does the institute provide for yourPMI ACP Exam Preparation? Resources: What resources will you get during yourPMI ACP Exam Preparation? Will you get a PMI ACP Study guide? What will the PMI ACP Study guide have? Do you have quiz at the end of each topic to assess yourself? Any PMI ACP sample exam questions? Any videos, recording, flash cards, mind maps, etc. would help you greatly for the PMI ACP Exam Preparation? If you are thinking of a classroom session for yourPMI ACP Exam Preparation, be aware that they have pre-scheduled dates, time and location every month fixed by most training providers. You also should check what provision the training provider has if you are unable to attend one of these 3-days. While a ACP Certification Course Online allows your training to happen at your pace, place and time. After you sign-up, it is at your beck and call and you decide which day and at what time you want to take it. Even if you are suddenly required to travel on work, you still can take your class for your PMI ACP Exam Preparation. But, the flip side is you may tend to become complacent and not take the sessions regularly. Therefore, if your ‘why’ for PMI ACP certification is strong enough, you will have a foolproof PMI ACP Exam Preparation in place. We will come to the plan nextNow you have a fairly good idea about the plus and minus points of both training options. So, it is now your call. PMI ACP Exam Preparation: How to go about? Let us move into the PMI ACP Exam Preparation. The first thing you need to do after signing up for the 21-hour training is to have a plan for the PMI ACP Exam Preparation. Though it sounds clichéd, if you don’t have a plan, you are planning to fail. Though you done need a detailed plan, have a broad plan each cycle or sprit which can be improvised as you go forward. Adaptive planning in action for your PMI ACP Exam Preparation. What should the components be of the plan for yourPMI ACP Exam Preparation? 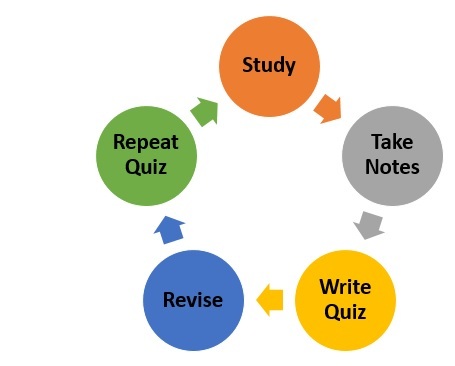 Study-Take Notes-Write Quiz-Revise to improve Performance-Repeat Quiz. Hence, you use the quiz as to tell you how well you are doing and what you need to work harder on. Factor in time for having an overview of some of the references given in PMI website, you definitely cannot read all. Set aside about 100-150 hours for the PMI ACP Exam Preparation. This has to be separate from the time you need to complete your application and fixing an exam date. Create a burn down chart and keep tracking your PMI ACP Exam Preparation progress on that. It is hence good to start your PMI ACP Exam preparation using the PMI ACP study guide. A study guide makes your learning interesting and easier by including games, flash cards and other resources. To assess your preparedness, you need to take the PMI ACP Sample Exam Questions. Take a full length PMI ACP Sample exam and check your scores. Based on this, revise the content from you study guide and take another mock test. In addition to the answers, take note of the time you are spending for the answering and review so that you have sufficient time in the exam for both and a little buffer for any surprises in the PMI ACP Certification exam. You have now an overview of the various steps you need to follow in your PMI ACP Exam preparation for successful completion of the exam. Hence, it is this careful, diligent PMI ACP Exam preparation which will make you a PMI ACP soon and the associated perks. So, get, set, start!